Stage Left Theatre announces that current Artistic Director Vance Smith will be succeeded by Co-Artistic Directors Jason A. Fleece and Amy Szerlong. An Ensemble Member since 2009, Fleece has served as Associate Artistic Director since 2013. He recently directed SLT’s critically-acclaimed production of The Body of an American. Involved with Stage Left since 2012, Szerlong became an Artistic Associate in 2013 and an Ensemble Member in 2015. She is currently directing the world premiere of The Bottle Tree. Smith will maintain his role through October, and will produce The Bottle Tree with the assistance of the new leadership. In addition, Stage Left announces the addition of Kanomé Jones, David Lawrence Hamilton and Annaliese McSweeney to the Artistic Ensemble. Kanomé Jones appeared in Stage Left’s production of The Firestorm in 2015 and the subsequent remount at Theater on the Lake this past summer. David Lawrence Hamilton also appeared in both productions of The Firestorm and is currently rehearsing a role in The Bottle Tree. Annaliese McSweeney has served as a dramaturg for Stage Left productions of All’s Well that Ends Well, The Body of an American, and The Bottle Tree. She has also worked in Stage Left’s literary department since 2013 and was made Associate Literary Manager in 2015. Also joining the company as Artistic Associates are Brittany Gillespie, who has worked at Stage Left as an Assistant Director and is currently the company’s Casting Director, and Andrew Hildner, who has worked with Stage Left as both a Scenic Designer and Technical Director. 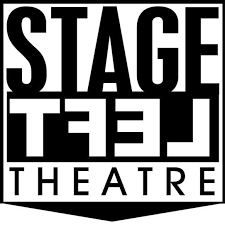 Amy Szerlong has been collaborating with Stage Left Theatre since 2012. Her Stage Left directing credits include the upcoming world premiere of The Bottle Tree (Fall 2016), LeapFest (Handled, The Bottle Tree), the Belarusian Dream Theater Festival and Drekfest. She also served as the Assistant Director for Impenetrable and LeapFest (Witches Vanish, Blue Whitney). Outside of SLT, Amy has worked with American Theatre Company, Chicago Dramatists, The Commission Theatre Co., Redtwist Theater, the side project, Something Marvelous, and Step Up Productions. She is a graduate of the University of Richmond, where she majored in theatre with a concentration in arts management. By day, Amy works in Development at Goodman Theatre. Jason A. Fleece has been an ensemble member with Stage Left Theatre since 2009. For Stage Left, Jason has directed the Chicago Premiere of The Body of an American by Dan O’Brien, the world premiere of Warped by Barbara Lhota, the Arthur Miller adaptation of Henrik Ibsen’s An Enemy of the People, as well as several pieces for LeapFest, Stage Left’s annual festival of new plays. Recently, Jason directed BoHo Theatre’s musical Ordinary Days, which was nominated for four Jeff Awards. Jason holds a B.A. in Theatre from Point Park University in his hometown of Pittsburgh, PA, and an M.F.A. in Directing from the Theatre School at DePaul University. Founded in 1982, Stage Left Theatre is committed to inspiring debate by cultivating new work and producing plays that explore political and social landscapes. Through a full subscription season and Downstage Left, one of Chicago’s most prolific new play development programs, Stage Left strives to ask provocative questions by producing a mix of new works, regional premieres and timeless classics. October 15 – November 20, 2016 — The Bottle Tree by Beth Kander — Five years after a school shooting, Alley, the struggling, smart-mouthed teenage sister of the shooter, wrestles with forgiveness, moving forward, and the lingering questions left in the wake of her brother’s crime. Another decade later, as an adult, finding satisfying answers proves no easier. Will she ever find an opportunity for hope and healing, or will the ghosts of her past forever haunt her? The Bottle Tree is an exploration of American gun culture that is at once heartfelt, humorous, and heartbreaking. The Bottle Tree was developed in part through Stage Left’s Downstage Left Playwright Residencies 2014-2015, then in LeapFest 2015. The script also received development at the 2015 Ashland New Plays Festival, and received an Honorable Mention on The Kilroys List for the past two years.